Josette’s professional career covers 35 years as an award winning Artistic Director, Actress and freelance Director in the UK, internationally and in Sweden where she is based. Currently Artistic Director for Riksteaterns Tyst Teater - Swedish Sign Language Theatre, a perception changing theatre, in the understanding, respect and potential of sign language arts and the artistic, and the linguistic and cultural rights of the Deaf. Visiting Professor for Coventry University, Associate artist washington university –THE LAB and Keswick theatre. Patron Of Unity Theatre England.Chairwoman for Cinemafrica – Sweden. As an actress in the UK, her work includes two seasons at the Royal Shakespeare Company, two seasons at the Royal National Theatre and two seasons at the Manchester Royal Exchange. Nominated for the prestigious Olivier Award for Best actress for my role in The Lion King, three times winner of the TMA / Theatre Management Award) for best actress. Josette received an OBE - Order of the British Empire - from Her Majesty Queen Elisabeth II, for Services to the Arts 2007. Recently nominated for best actress in the film MEDAN VI LEVER/WHILE WE LIVE – Gambian Swedish film at the African Oscar film awards 2017 AAMMA Awards (winner best foriegn film). Awarded Performing Arts inspiration artists 2018 Sweden and nomiated for Women of the World festival (WOW) for innovation 2018 UK. 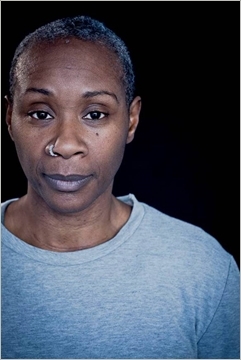 Finished the british tour as actress of NINA – A story about me and Nina Simone. Josette has received the Judy Cramer Award for Innovation, and the Southbank Cultural Diversity Award for work in changing the face of Black British Artists and their representation through the organization PUSH. Josette works as a speaker, teacher and mentor.